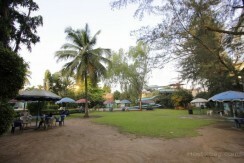 The Venue by Aquatic Hotels and Waterparks – We strive to maintain a reputation for creating a venue of uncompromising style and originality, with a commitment to providing the highest standards of service an hospitality. 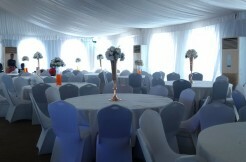 We make sure you have a memorable occasion. 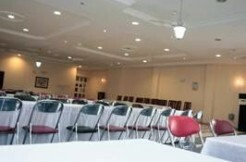 We have a large banquet hall and 2 meeting rooms.Our banquet hall accommodates receptions for up to 2,500 people while our meeting rooms accommodate between 30 to 60 persons depending on the seating arrangement style. Apart from this, the services of our dedicated staff to help you with every aspect of your conference planning, organization and administration, with a flexible and attentive approach to your requirements cannot be over-stated. You also have an access to a meeting room of individual design and character, set up to your specific requirements and equipped as instructed. Complete Hi-tech Sound and Lighting System, 25 Units of 5tones Air Conditioners, Spacious and clean rest rooms for male and female guests, Chairs and tables on request, Multimedia Projector,Screens and Camera, Adequate Security, Standard service point for Food and Beverages, Gallery for V.I.P Arena with its own rest rooms, Back stage relaxation rooms, Smoke Machines. 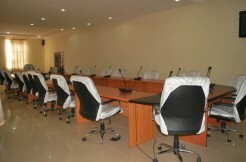 Our meeting rooms could seat between 30 to 60 persons depending on the sitting arrangement.